Morrison wants the NSW Liberal executive to re-endorse sitting NSW federal members so Kelly does not have to face a ballot in which he would be defeated. The Coalition is already in minority government after the loss of Wentworth and last week’s defection of Julia Banks. After hearing of the save-Kelly plan Turnbull immediately began lobbying moderate executive members not to agree to the cross-factional deal. When his lobbying reached the media, he took to Twitter. Turnbull had said that when he was PM he and Morrison had agreed to a March 2 election – before the state poll later in March – but Morrison was reneging. The Liberals believe that whichever government faces the people first in NSW will get a double whack from angry voters. Morrison indicated last week that the election would be in May after an April 2 budget. Another NSW rightwinger, senator Jim Molan is arcing up over his dumping to an unwinnable position on the Senate ticket. Molan is also looking to Morrison to do something about his position. “Let’s see what he does, but I’m not here to be taken for granted,” Molan told 6PR on Sunday. 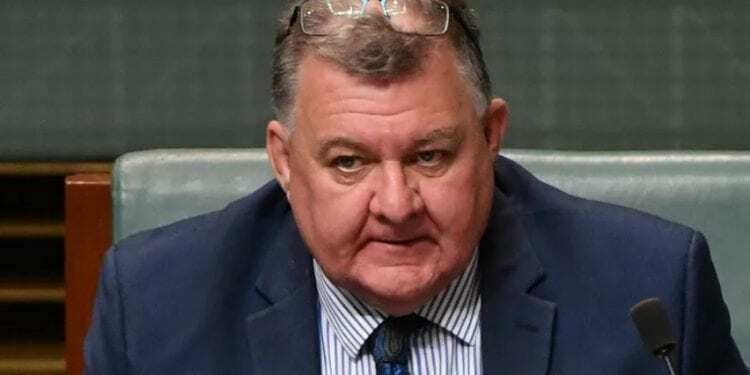 The NSW Liberal executive has voted to save the preselection of rebel MP Craig Kelly after Scott Morrison personally lobbied key executive members. Morrison, who only landed in Canberra on Monday morning after his trip to the G20, rang several executive members to appeal to them not to follow Malcolm Turnbull’s strong urging to veto a deal to endorse Kelly. The key four executive members to be persuaded to abstain were moderates Wayne Brown, Harry Stutchbury, Chris Rath, and Sally Betts. It is understood that Morrison said that while he wanted them to support the motion for re-endorsement, if they couldn’t do so they should abstain for the good of the government. The government feared that Kelly – who was among those who destroyed Turnbull’s energy policy and his prime ministership – would run as an independent at the election and go to the crossbench in the meantime if disendorsed. Kelly, who would have lost an ordinary preselection because he did not have local support, was part of a job lot of federal members endorsed by the executive after Morrison’s efforts on Monday. In a statement, a spokesman for the NSW Liberal party said it had “re-endorsed John Alexander OAM MP as our candidate for Bennelong, Jason Falinski MP as our candidate for Mackellar, Craig Kelly MP as our candidate for Hughes, and Lucy Wicks MP as our candidate for Robertson.” It did not mention Craig Laundy who is still making up his mind whether he wants to recontest. All other NSW MPs have been re-endorsed. Earlier Turnbull, after intensive private and public lobbying on Sunday, said on Monday it would be “the antithesis of good government” to give into Kelly’s threats – if he had made them. But assuming he had made threats “that is the worst and the weakest reason not to have a preselection process”. He said even if Kelly went to crossbench the numbers would not be there for a successful motion of no confidence against the government. Turnbull said he had planned to have an election on March 2, ahead of the NSW election later in March. If the Morrison government faced the people first Berejiklian could “go to the polls and be judged on her record rather than being hit by the brand damage that arose from the very destructive, pointless, shameful leadership change in Canberra”. “I know there’s been this proposition put around that no one’s really interested in the leadership change or the internal machinations of the Liberal party. The fact is they are and it has done a lot of brand damage to the Liberal party. “That’s something the party is going to have to work through. But there’s no point being mealy mouth about it or pretending that that damage hasn’t been done”.